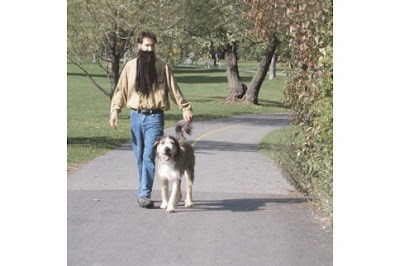 Ever find yourself walking the dog, doing some DIY or taking a paddle down your local waterway thinking, I'd love an inconspicuous but refreshing drink of cold beer? 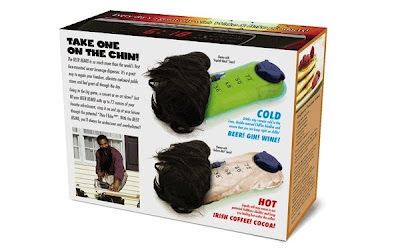 Then you need the Beer Beard. 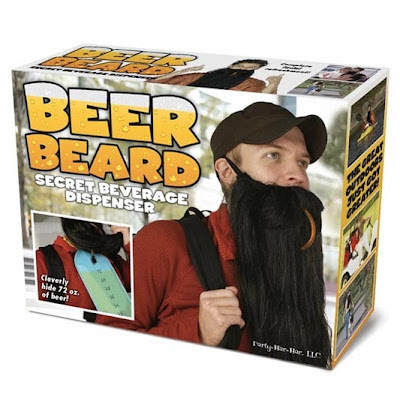 A secret beer dispenser with a patented 'chilly-tek' bladder. It makes awkward public stares & social stigma a thing of the past. The complete facial refreshment solution! Colonel Sanders on "What's My Line?" This isn't some sort of bizarre spoof. It's an episode of "What's My Line" from way back in '63. 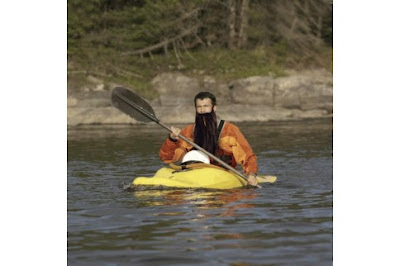 Seems incredible that there was a time when the iconic "Colonel" [and man most associated with having his face on a bucket] ever went unrecognised. For those who can't be arsed to watch all the way through, my favourite question in this clip come at 4mins 15 seconds. Panellist: "It is used at cocktail parties, Colonel?" Col. Sanders: "Yes, it could be". That's some classy cocktail party, Colonel. Anyhow, the whole thing made me realise again what a great advertising property "Finger Lickin' Good" was. Also made me wonder how he always kept his suits so spotlessly white what with all that fried chicken around. As readers of our blog, you might have guessed by now that we're big fans of the good old-fashioned craft values of advertising. It's also no secret that we're big fans of unashamedly putting a product centre stage loud and proud in any piece of creative work. Here's some brutally simple but highly engaging and charming commercials from the U.S.A. that Hal Riney did for Bartles & Jaymes from a bygone age where great casting, great acting, great writing and great direction all made for a great campaign. 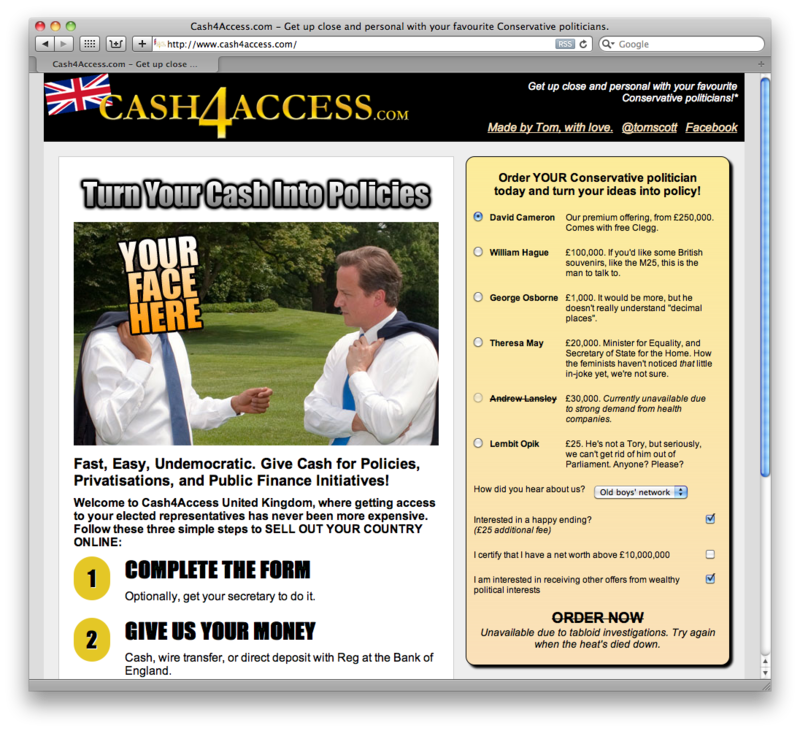 Seeing these again it struck me just how rare it is to see a campaign that is as consistently good as this these days. And actually how rare it is to see campaigns that build over time. 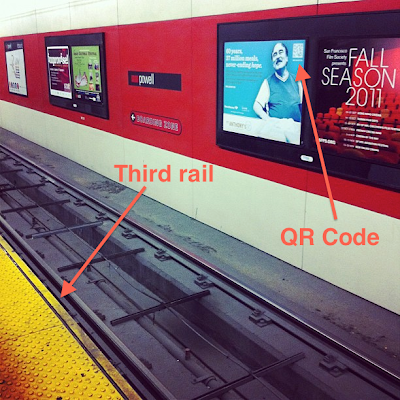 The tendency amongst agencies is to always chase the new and reinvent the wheel every time. Hence brands seem to be on treadmill on churning out a series of different executions rather than trying to invest in something that works over the medium to long term. There are probably many reasons why this is the case [and that's the subject of another post] but I think the one contributing factor is that it's seen as unfashionable and uncool to write ads where the product is absolutely the undisputed hero. Or where you are open about the fact that you are flogging something to an audience. These ads are over 25 years old but I'm convinced that if they ran today they would still cut through any commercial break and be equally effective. "And thank you very much for your support" as Mr Bartles said at the end of every ad. Or was that Mr Jaymes? 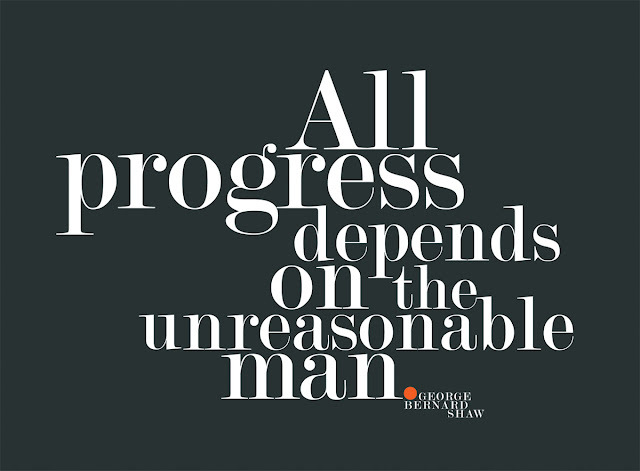 Our post The Unreasonable Man. 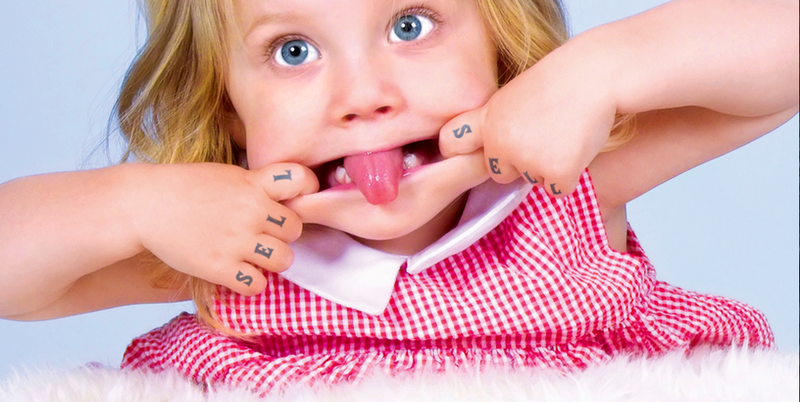 Bob Hoffman has written an excellent piece on the stupidity of advertising's obsession with youth. Read it here. 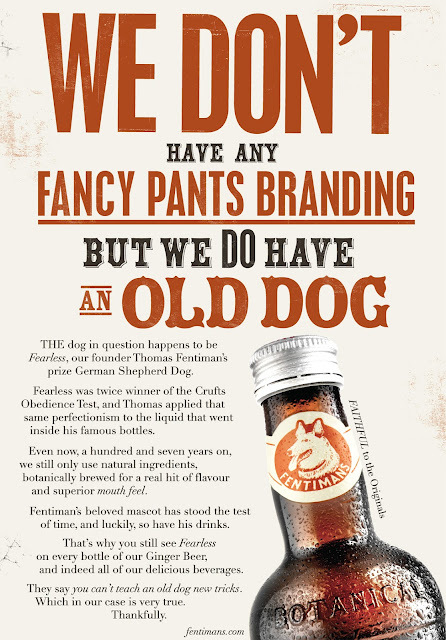 Our latest good old-fashioned print ad for our good friends at Fentimans. Well, you can't teach an old new tricks, as they say. Some clever typography for a sunny Monday morning. 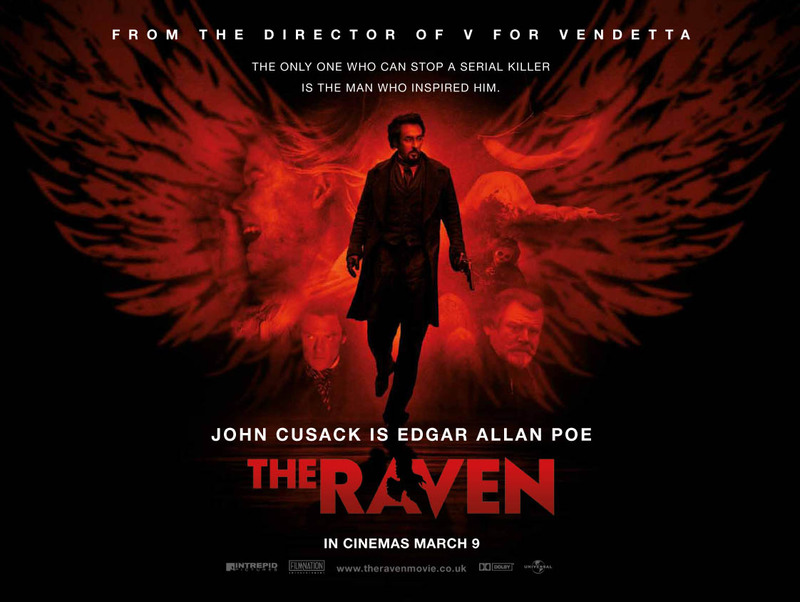 The UK poster for the movie The Raven. Great bit of smartness to use the raven image in the negative space of the A and V. The US version looks like a Ralph Steadman illustration (I'm a huge fan of Ralph's work), but I read somewhere that it's not by him, just a rip-off of his style, anyone know if that's true? A big Sell! Towers happy birthday to the Delicious Industries blog. Four years of inspiration and visual goodness. Keep up the good work! Why not pop over and say Happy Birthday? Website of the day, nay week, nay month, nay... etc. If you’re feeling a little peckish, apologies for what’s about to follow. Our new campaign to promote Upper Crust’s fine breakfast fayre launched last week in around London. From an advertising point of view it's an unusual project because, let's face it, a bacon sarnie sells itself, doesn't it? The problem for bacon-based food sellers is that most of us are generally trying to be healthy in the morning. 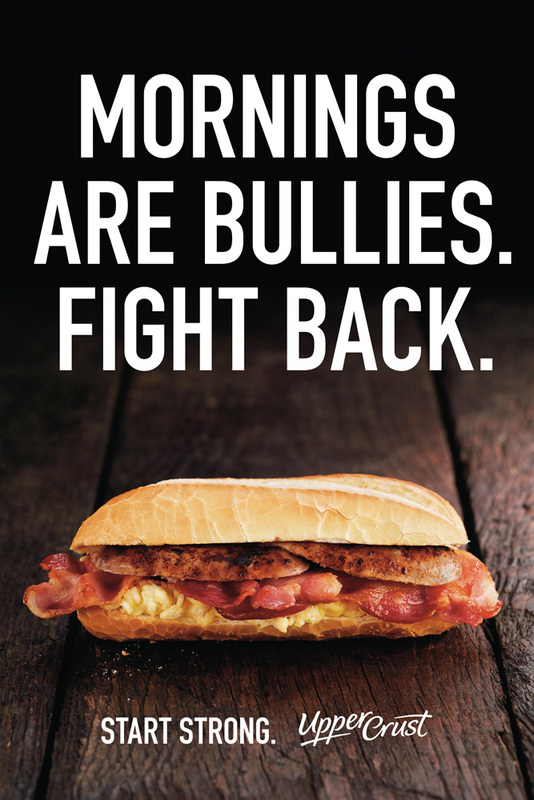 But the truth (and the basis for this campaign) is, nothing really sets you up for the day like a proper, hot meaty breakfast. 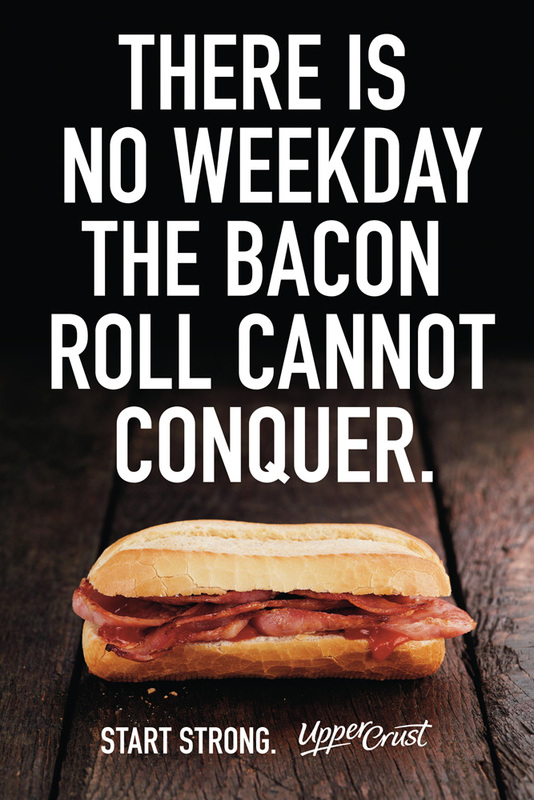 You feel like you can take on the day better with a belly full of bacon sarnie, rather than a sad little pot of cold, damp muesli. We put the product front and centre with really great shots of the food - we brought in Gareth Morgans, a true master in the art of food photography, to temp the eyes. I believe the saying is something like “The first bite is with the eyes”? In this case my eyes ate the whole thing and have gone back for seconds. The campaign consists of morning newspaper strips, six-sheet posters, and radio commercials running in the morning - starring the always fantastic Mr Peter Serafinowicz. By now everyone who hasn't been lobotomised knows that QR codes are pretty much pointless. In fact, when used in advertising they actively communicate a sense of futile desperation on the part of the people involved. But still, they appear. Now there is a website dedicated to the tip of the pointless iceberg. Have a look here.